Each 6oz and 8oz Stainless Steel Military Flask offers a unique Military gift or award. 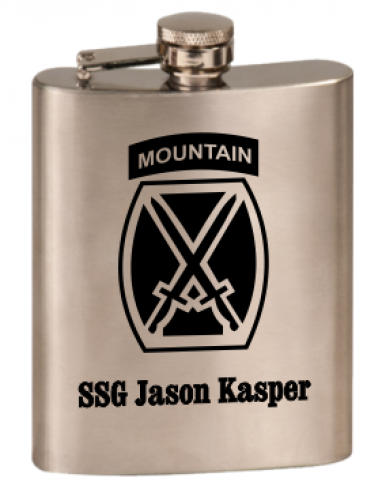 Each military flask is laser engraved and can be personalized for every recipient. Use as Unit Performance awards, PCS gifts, part of a hail and farewell or retirement gathering. Appropriate for the Soldier, NCO, or Officer, Sailor, Airman, Marine.